Human Rights Activists News Agency (HRANA) – On Sunday, September 23rd, Saham Armin became the eighth Baha’i citizen to be detained by Ministry of Intelligence forces after having his home searched in Baharestan, a city 12 miles southeast of Isfahan on the route to Shiraz. 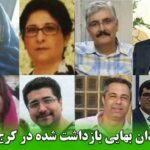 HRANA previously reported on the arrest of Afshin Bolbolan, Anoosh Rayeneh, Milad Davardan, Farhang Sahba, Bahareh Zeini (Sobhanian), Sepideh Rohani, and Fojan Rashidi by security forces in the same city . As of the date of this report, no further information was available on their location or the reasons behind their arrest. A close source to the group previously confirmed to HRANA that Bolbolan’s books, laptop, tablet, and mobile phone were seized by authorities during a search of his home. In recent weeks, members of the Baha’i religious minority have faced increased pressure from Iranian security and judiciary establishments all over Iran, resulting in several arrests on specious grounds. 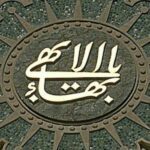 In the last month, HRANA published reports on the arrests of Baha’i residents of Shiraz and Karaj who were swept up in this trend: Maryam Ghaffarmanesh, Jamileh Pakrou (Mohammad Hossein), Kianoush Salmanzadeh, and Peyman Manavi were arrested and transferred to Evin Prison from Karaj on September 16, 2018. Shiraz security forces arrested Soudabeh Haghighat, Noora Pourmoradian, Elaheh Samizadeh, Ehsan Mahboob Rahvafa, Navid Bazmandegan, and his wife Bahareh Ghaderi on September 15th and 16th.